Co- Founder of ROTI GHAR NGO . 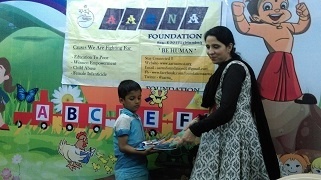 Co-founder of NGO - Aarna Foundation. Mr. Chinu Kwatra expresses in his actions the will of a Humanitarian Warrior. 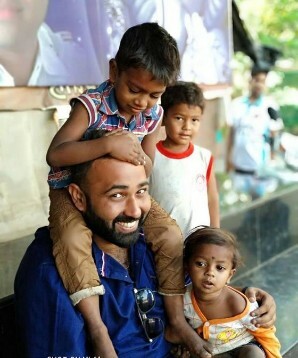 In his proactive action, he feeds hundreds of children every day in the city of Thane. The children are grateful for Mr. Chinu's empathy through smiles that take over the soul and face of this Humanitarian Warrior. What are Mr. Kwatra weapons? The food prepared in his family's restaurant, the contingent of volunteers who support the initiative, the bicycles and motorcycles that distribute the food and the donations of hundreds of people who join this project every day. What are Humanitarian Warrior rewards? Mr. Kwatra appreciates the growth of a solidarity network that touches the heart of the population and adds followers each day. For Chinu, the fight against hunger is waged in every house, in every street and in every child who receives food and education. Thus the Roti Ghar project was born in December 2017. The young Chinu grew up in a loving family, who faced very difficult situations. His mother worked managing a Dhaba. The Humanitarian Warrior learned to overcome obstacles by working in the small family business, where he learned to transform difficulties into opportunities. He studied hard and worked hard. These qualities as a talented and hard-working young man were recognized by his teachers, who managed to get the school to finance his studies. In the surroundings of his mother's Dhaba, he heard the voices of the workers, the clamor of the Thane's rag-pickers, the tragedies of those fleeing hunger from the rural villages, and especially the children who walked the streets. Those voices would echo in his mind for years as he studied. The young Chinu faced a paradox every day that seemed irresolvable. How do you explain that Thane is the oldest rail terminal in Asia and continues to be a powerful rail intersection, while its population has such high rates of extreme poverty? He found the answer when he began his career as a marketing professional. Mr. Kwatra earned an MBA and began working as a sales & marketing officer. It was precisely in the field of marketing, where he again faced the reality of the most disadvantaged people. During the campaign to promote the pre-school belonging one of his cousins, Mr. Chinú visited the homes of many children and found alarming situations. 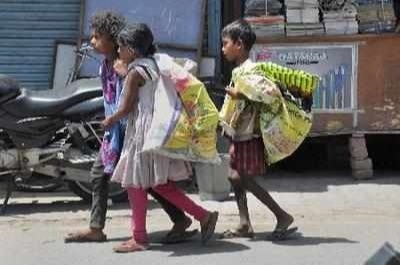 He identified the association between poverty and orphanhood, which in many cases culminates in child prostitution. This Humanitarian Warrior understood that the absence of vertical social mobility channels for Thane's poorest people must be rectified. This situation requires each citizen to commit to contributing in different ways, during the process of improving the quality of life of the most disadvantaged. In addition, poor people need to regain confidence that society provides opportunities that should and can be seized. Chinu undertook the task of breaking the intergenerational cycle of poverty and sexual degradation that threatens young children. And so he made a commitment to feed Thane's poorest children as he taught them to read and write. But to be Humanitarian Warrior seems to be a family trait because during the process him cousins founded the NGO Aarna to care for women and children impoverished. The tragedy emotionally devastated Mr. Kwatra in 2014, when the woman to whom he had given his heart tragically dies. It was such a shocking blow that our Humanitarian Warrior, plunged into despair, decided to follow in the footsteps of his beloved. Nevertheless, he decided heart of Valiant Humanitarian Warrior managed to save him from his unsuccessful suicide attempts. The Chinu NGO invites benefactors to join the cause of solidarity through an innovative idea: “Celebrate with us”. People can make contributions during special occasions such as birthdays, anniversaries or any important event. A small contribution of Rs. 35 covers the costs of a meal. In return, the benefactor receives videos and photos where the children give him their congratulations. Mr. Chinu Kwatra understood that the great goals of international organizations are not enough to reduce hunger and poverty in the world. The Millennium Goals oriented towards the eradication of hunger can only be achieved if new volunteers are added to this cause every day. By 2018, our Humanitarian Warrior and its NGO will meet the food, health and educational needs of more than 1,000 poor children and women. Health care and education for girls in extreme poverty is a priority for the organization, given the situation of risk in which they find themselves. Mr. Kwatra's journey during the distribution of food confronted him with another heartbreaking reality: the hundreds of hungry dogs that roam the streets. Like every struggle, new challenges always arise and for Mr. Kwatra it was inevitable to extend his network of help to man's best friend. The Humanitarian Warrior identified the problem and immediately found the solution: Feed them regularly with boiled chicken. The NGO Roti Ghar is growing in tasks and new challenges. The energy of the Humanitarian Warrior and his loyal collaborators is inexhaustible. 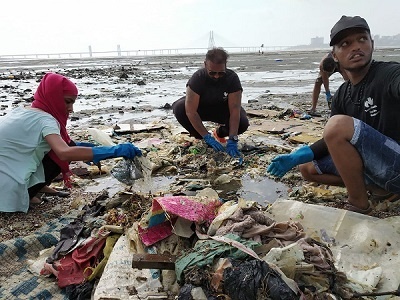 They recently undertook clean-up work on Mumbai's beaches under the initiative “Beach Warriors”. It is clear that the humanitarian battles of Roti Ghar are just beginning. They are Humanitarian Warriors for a Better World.